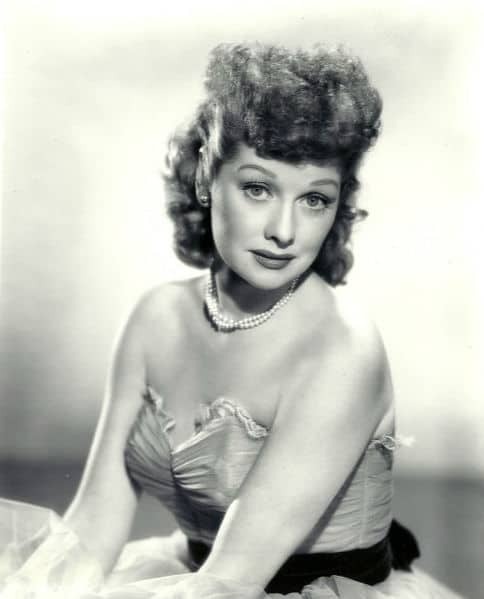 I Love Lucy star Lucille Ball died more than 20 years ago — on April 26, 1989, at the age of 77. So why did her daughter rush to court last week to save awards, love letters and other personal items of the famous comedienne? Reportedly, when Lucille passed, she left love letters between she and her first husband, Desi Arnaz, along with her lifetime achievement awards, photographs and other items to Lucille and Desi’s daughter, Lucie Arnaz Luckinbill. But, apparently, Luckinbill never claimed the items from Lucille’s estate and lost them. So they ended up in the hands of Susie Morton. Morton is the widow of Gary Morton, who was Lucille Ball’s second husband. After Lucille passed, these items, along with a Rolls-Royce, were passed to Gary Morton, and then onto Susie after Gary died. Susie Morton placed the items up for sale at a Beverly Hills, California auction house, with the sale set to start this past Saturday, July 17, 2010. When Luckinbill’s attorney threatened legal action to stop the sale, Morton filed suit first to allow the auction to proceed. Luckinbill’s lawyer went to court on Friday to stop the sale and won … well, sort of. The Judge ruled that Luckinbill would be granted a restraining order, but only on the condition she post a $250,000 bond. Ouch! Luckinbill couldn’t afford it and the sale was set to go forward. But it’s not all bad. Luckinbill’s legal team was able to negotiate a resolution with the auction house, Heritage Auction Galleries, for the return of the lifetime achievement awards. The love letters, photographs and Rolls still went up for auction though. Here’s the link to the online auction, in case you want to see the listings. The auction house website reports the items earned more than $230,000. Luckinbill’s lawyer had called the auction efforts demeaning and insulting to Lucille Ball’s memory. Now, he says, the awards will be donated to a museum, instead of being hawked for cash. Susie Morton says that Luckinbill abandoned the property years ago. It’s unclear why. Too many people fail to take action when a loved one passes away, until it is too late. We’ve had people contact us years after someone dies, wanting to protect their legal rights to an estate, trust or claim property. Don’t let the emotions of a lost loved one keep you from protecting yourself. Burying your head in the sand won’t help! See a good probate lawyer and make sure you receive what your loved one intended.